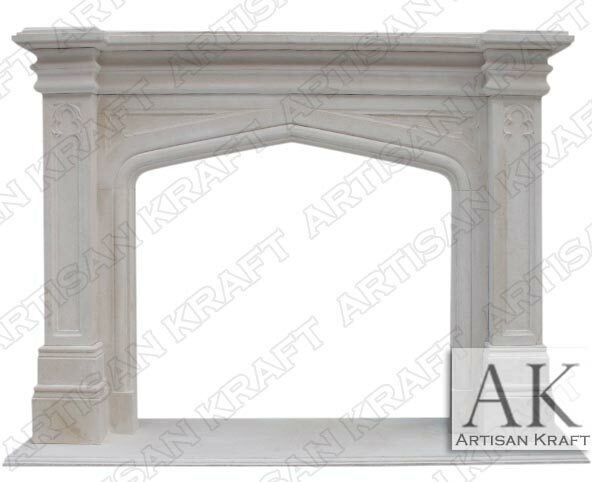 An elegant finish of the Gothic Tudor mantel in a creamy limestone stone. Perfect setting for formal living spaces, music rooms and libraries. Limestone is traditionally used for Gothic style fireplaces. The Gothic Tudor is an English style mantel. We offer it in Marble and cast stone as well. Using marble for this mantel gives it a unique contemporary feel. We have a Tudor mantel is installed in our Chicago showroom.